When do I select my Supervisor? Who do I need to inform? You select your supervisor by June 1 of your first year in the program. Send an email to angela.umbrello@utoronto.ca. This will trigger the start of your Supervisory Committee, and will be entered on ACORN, and on the FIFSW Database. For students writing the comprehensive paper – Can I submit the Comprehensive Paper directly to my two readers? Is an e-copy acceptable? Two copies of the Comprehensive Paper are to be submitted. These will be distributed to two examiners (one of which is the supervisor) who will independently assess the merits of the paper. You must verify with the two readers if they are willing to accept an e-copy. If yes, forward your e-copy to angela.umbrello@utoronto.ca and indicate who the two readers are. If no, submit two copies of the Comprehensive Paper directly to Angela Umbrello, 2nd Floor, Room 256, with a note indicating who the second reader will be. Angela Umbrello will distribute the comprehensive paper to the two members, and assign a four-week deadline for receipt of the Comprehensive Assessment. The second reader will be added to your Supervisory Committee. The PhD Director will be notified by Angela Umbrello that the comprehensive paper has been submitted. Note that students taking the Comprehensive Exam are required to submit their papers electronically on Quercus. How many members can I have on the Supervisory committee? You must have a minimum of three members, of which at least two must be from within the FIFSW. 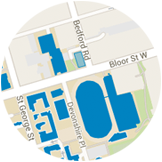 One member must be external to the FIFSW, but can be within the University of Toronto. It is possible to have a committee member from another university. What is the process to add a committee member from another university? Your supervisor must request a copy of the individual’s CV and submit it electronically to angela.umbrello@utoronto.ca. When it is received, it will be circulated for approval to the internal FIFSW committee comprised of the Dean, Associate Dean, Academic and PhD Director. If the committee approves, the individual is sent a letter advising them they have been recommended for an Associate Membership at the School of Graduate Studies, and will be added to the Supervisory Committee. By when does the Thesis Proposal need to be approved? Who approves it? In order to be in good standing, the thesis proposal must be approved by August 31st of your third year of study. All members of the Supervisory Committee must approve the Thesis Proposal, and sign off on the THESIS PROPOSAL RECOMMENDATION FORM. The signed form is submitted to Angela Umbrello, and this will trigger a Recommendation for Candidacy to be submitted to SGS. How many members must I have on the FOE? Who will be on the Final Oral Exam (FOE)? SGS requires that there are a minimum of five voting members, maximum of six voting members, of which four must be present in the room, and only three voting members can be from the Supervisory Committee. The FOE is comprised of three members from the Supervisory Committee, the internal examiner and the external appraiser. I have more than three members on my Supervisory Committee; can they all be voting members? Who decides this? All members from the supervisory committee can be present at the Final Oral Exam (FOE), however only three members can vote, and all others would be non-voting members. The Supervisor can discuss who the non-voting member(s) will be with the committee. How do I go about obtaining an internal examiner? Your supervisor, with input from the Supervisory Committee, must find the internal examiner. The individual can be a FIFSW faculty member or a sessional lecturer who has a graduate faculty appointment. How do we go about finding and securing the External Appraiser? Your supervisor, with input from the Supervisory committee, must find and secure the External Appraiser. The individual must be a Full or Associate Professor with tenure, who has had no prior working relationship with either your supervisor or yourself. When your supervisor receives confirmation from the External Appraiser, they need to request an electronic copy of their CV, and ascertain whether or not they will be attending in person or by teleconference. The CV must be forwarded to Angela Umbrello by email at: angela.umbrello@utoronto.ca who will forward it to SGS for their approval. If SGS does not approve the individual, your supervisor will work with you and your supervisory committee to come up with a new person. A copy of my dissertation must be distributed to all members of the Final Oral Exam Committee at least 8 weeks in advance of the defence date. Can I send it out directly to all members, including the internal examiner and external appraiser? Is an e-copy acceptable? The dissertation must be distributed by Angela Umbrello. She will check with your committee members to ask if they will accept an e-copy or hard copy. Once this information is known, she will email you and advise how many hard copies are required. Students must not have contact with the internal or the external examiner. Does the External Appraiser receive any specific instructions? The External Examiner is sent a letter confirming their appointment by the School of Graduate Studies as the External Appraiser, and assigned a four-week deadline to submit an appraisal of the thesis. The appraisal must be received two weeks before the Final Oral Exam. The letter includes instructions that the appraisal should end with an explicit recommendation that the thesis either be accepted or not be accepted in partial fulfillment of the requirements for the degree of Doctor of Philosophy. What is the faculty’s policy on PhD Student business cards? The Faculty will order and pay for up to 500 official business cards per PhD Candidate* upon request. Requests for cards must be accompanied by proof of status before orders are placed according to the University’s style guide standards. Those placing orders must allow up to 30 days for processing. Other students may create their own business cards independently but are not authorized to use the Faculty’s logo or branding. *This policy applies to non project related business cards. A PhD student is a PhD candidate after the thesis proposal has been approved.